From June 26th to July 1st over 15 Nurse Practitioners (NP) from North Dakota attended the American Association of Nurse Practitioners’ (AANP) National Conference in Denver, CO. In total, over 5,000 conference attendees networked, attended lectures on a variety of topics, were briefed on regional and national legislative updates, and heard keynotes from Dr. Susan Ortega and Dr. Kevin Smith. Two NPs were recognized for their commitment to practice and advocacy on Friday June 29th at the Salute to the States Award Ceremony. 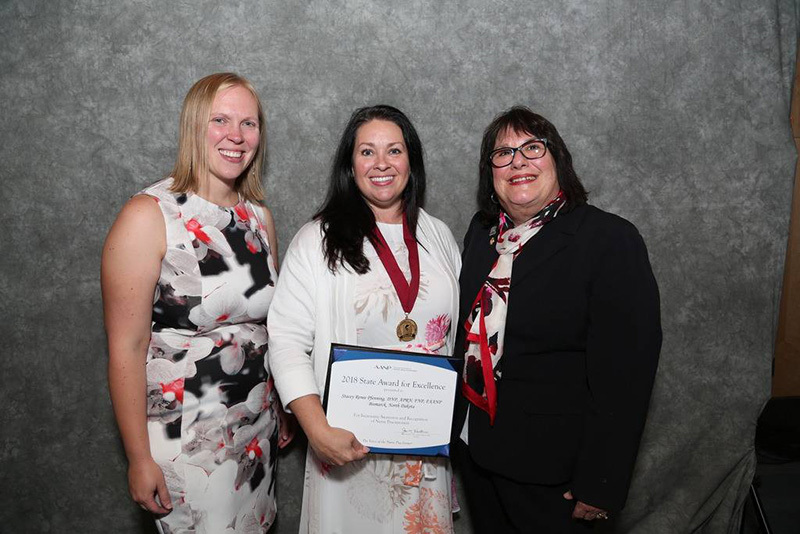 Stacey Pfenning was honored as the 2018 Advocate State Award for Excellence recipient. She has served as an advocate for NPs for over 15 years, especially as North Dakota BON Executive Director. 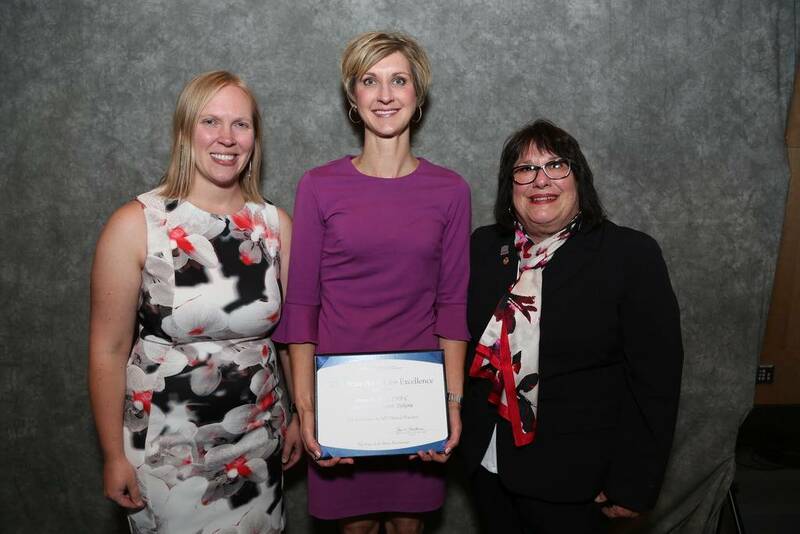 Serves on many committees representing NPs on key issues such as opioids and telehealth.Danielle Skaar was awarded the 2018 State Award for Excellence winner. She Exemplifies excellence as an NP. She fulfills a need for mental and rural health care, especially owning an NP practice and precepting future generations of NPs.